1 What are Lymph Nodes? 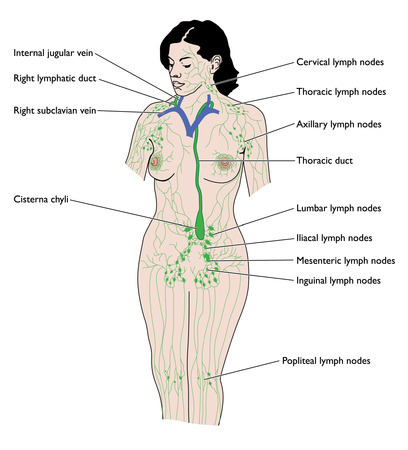 Lymph nodes are a part of the lymphatic system of the body. 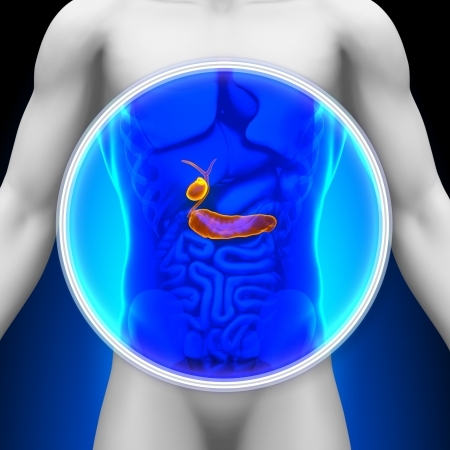 They are small bean shaped glands present throughout the body, either single or in clusters. They are the soldiers of the body and form an important first line of defense. Their main function is to trap the bacteria and viruses from the lymph fluid which flows through them. They do not deal with removal of toxins from the body like the liver and kidney. The lymph fluid present within the lymph node contains specialized white blood cells (WBCs) called lymphocytes which circulates in and out of the lymph fluid and the bloodstream. The bacteria and viruses circulating in the blood have antigens on their cell wall. In response to these antigens, the lymphocytes begin to secrete antibodies which target the antigens and kill the bacteria and virus. The lymphatic system drains into the major veins of the body. 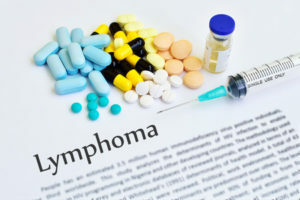 In case the antigen load is very high as in case of a severe infection, the lymphocytes will activate the immune system outside the lymph nodes and this will lead to a generalized immune response in the body. When this happens, the lymph nodes become swollen and are felt like hard nodules under the skin. Their existence is identified after they swell up. The location of the enlarged lymph nodes is of much clinical importance. 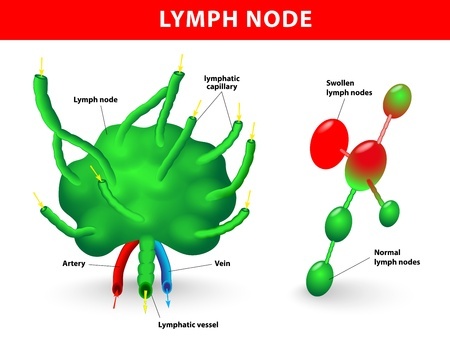 Lymph nodes get enlarged in response to infections, tumors and injury. The location where the swollen lymph nodes are felt, gives the probable diagnosis. The neck glands are commonly enlarged due to severe throat infections, infections of head and neck, cancer of the tongue etc. Lymph glands in the armpit are normally not palpable. If they are felt as hard, knotted swellings then breast cancer and lymphoma (lymph node cancer) needs to be ruled out. Inguinal lymph nodes in groin are enlarged in infections of the leg, injury, testicular cancer, melanoma, STDs etc. Supraclavicular glands swell up in diseases of the neck, lungs and breast. Mesentric glands located in the abdomen are enlarged in any GI tract cancer, infections etc. AIDS – Acquired Immune Deficiency Syndrome. It is caused by HIV virus which attacks the immune system of the body and makes the person immune compromised. In normal conditions, lymph nodes are not externally palpable. If they get infected and swollen then they are felt as hard, nodular, knotty often painful swellings beneath the skin. Diagnosis is done by palpation of the swollen nodes with the help of fingers and the lymph node pain. Knowing the location of lymph nodes gives us a fair idea of the region affected. When there is a tumor developing in the breast, the axillary group of lymph nodes will be inflamed. Lymphomas (cancer of the lymph nodes) generally present with generalized swollen nodes are not painful. In case cancer is suspected, lymph node biopsy is done and the cells are microscopically studied to confirm the type of cancer (lymphatic cancer etc). Treatment of lymph nodes is usually antibiotics. In mild infections, the lymph nodes return to their normal size as soon as the infection regresses. Viral diseases like AIDS need disease specific treatment in the form anti-retroviral drugs. In cases where cancer diagnosed, the condition is treated by surgery and the affected group of lymph nodes is also removed. This helps to stop the spread of cancerous cells which may get implanted in other organs by travelling through the lymphatic system.